2015 arrived and with it an opportunity. My parents had arrived to fulfill that core grandparent functionality – babysitting. My wife & I had a night of freedom! But the hard part was deciding where to go with this golden chance. After considerable analysis paralysis we made a call – a night in the backcountry at Red Hills Hut. We chose the humble Red Hills for two reasons. It required only a couple of hours trekking – an important point for eloping parents, especially since one of us was pregnant. Secondly, it would certainly be much less crowded than alternatives such as the famed Lake Angelus hut. From Blenheim, a 50 minute drive west took us to the start of the trail. Not a single nursery rhyme was played en-route. The 3 hour hike began very pleasantly amongst mature beech forest. We appreciated not having to carry, cajole or cater for a 3rd party. We even placed a ban on any talk of the toddler (which led to a slightly depressing lack of conversation). Before long the trail morphed into 4wd track which continued up to the hut. It was a bit of a monotonous plod, with the highlight being a remarkably sudden cessation of the forest. Expansive views opened up of the Wairau valley. Better still, the hut appeared just around the next corner. These standard back country huts aren’t palatial by any stretch, but they’re surprisingly comfortable and clean. Equipped with toilets, water and mattresses, the best thing about them is the ambience. Apart from the hut itself, there’s not much sign at all of humanity’s footprint. A friendly young traveler greeted us at the hut. We enjoyed tales of his adventures around New Zealand whilst marveling at the freedom of the childless. The remainder of the day was spent reading, eating and having cups of tea. It was New Year’s Day and even the scourge of NZ’s backcountry, sandflies, seemed to be taking the day off. Having abandoned our smartphones and tablets, it was forced relaxation, and it was pretty jolly good..
We awoke refreshed the next day following a rare uninterrupted night’s sleep. (No being jerked awake at an ungodly hour to fearful wails complaining of the dark). I appreciated trading the routine nappy change with a leisurely stroll to snap some pics while native birds darted to and fro. There was a brief stint of sunbathing on the deck, but parental responsibilities were beginning to press in; it was time to pack up and relieve the grandparents. With depleted provisions and gravity on our side, an uneventful trip down was done & dusted in a couple of hours. On the drive back home we lifted the toddler talk ban, and found ourselves refreshed and looking forward to seeing the tike and being parents once again. 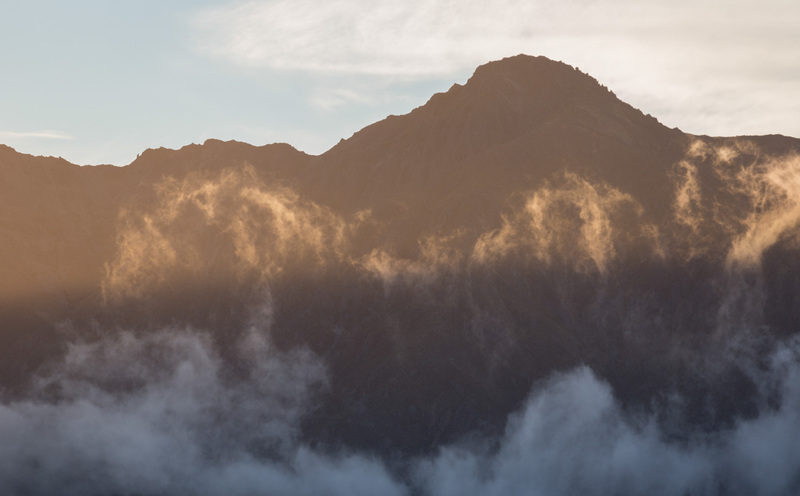 There’s no doubt about it – for a break from the hustle & bustle, or to restore some perspective, Marlborough certainly has its fair share of places to escape to. The start of the route is just off State Highway 63, 91km west of Blenheim. A sign from the highway leads you into the carpark. Red Hills hut is a modern DOC hut with 6 bunks. Unlike more popular huts, it cannot be booked. However, it’s unlikely to be full. 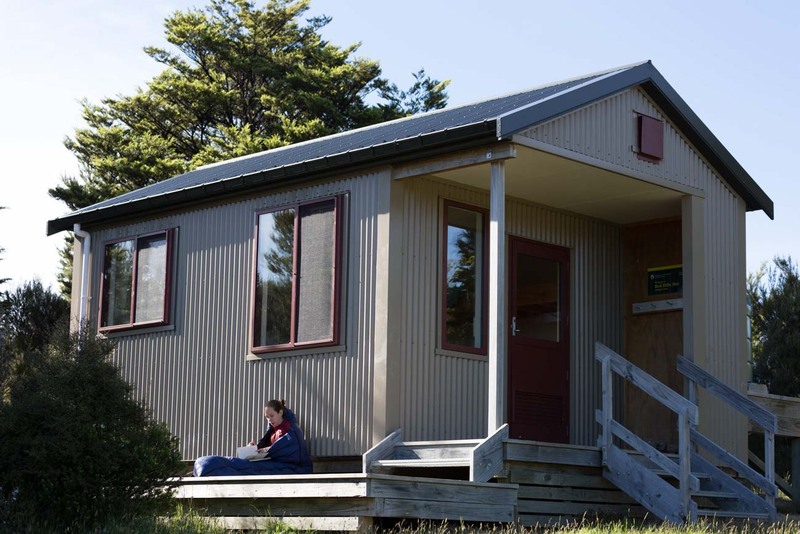 The hut is one of 16 on Te Araroa’s (NZ’s national walkway) traverse across the Richmond Range. The Red Hills name comes from its distinctive magnesium-rich rocks. The soils derived from these rocks are too toxic for tree growth hence the unusual scrub and tussock above the bush line. You don’t need to be especially fit for the hike up. If you are not accustomed to walking with a pack, it may just require a few rest stops.